Assistant Professor Shiling Pei received the 2016 Wood Innovation Award from the USDA Forest Service for his project, "Expanding Cross Laminated Timber Market through Building Moisture Monitoring and Improved Modeling." 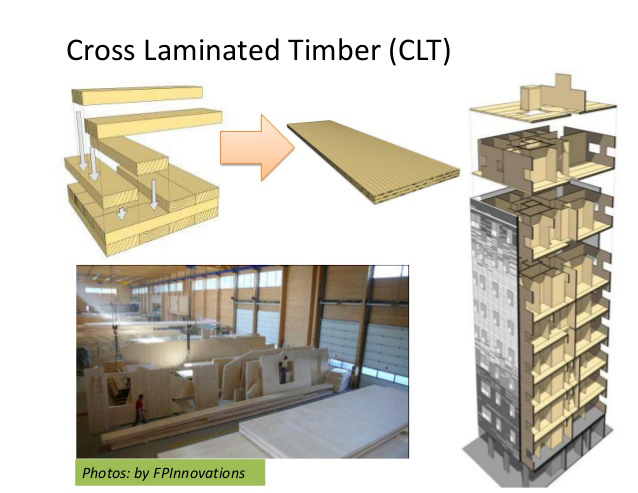 The three-year project will receive a grant of $249,996 from the Forest Service to collect data on cross laminated timber (CLT) building mositure performance and modeling. Pei is the grant's Principal Investigator (PI), and Assistant Professor Paulo Cesar Tabares-Velasco (ME) is the co-PI. They will be conducting on-site monitoring of CLT building projects in different climate zones of the U.S. using wireless sensors. The project will also utilize laboratory testing characterization and state-of-the-art numerical modeling methods to overcome the knowledge gap in CLT building moisture performance and help boost confidence in building more large commercial CLT buildings in the U.S.